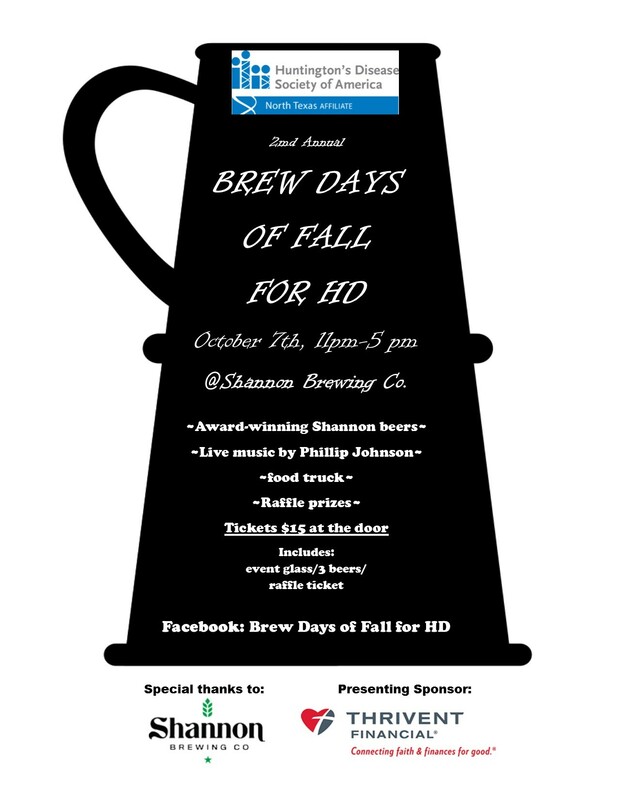 Please join us for our 2nd annual Brew Days of Fall for HD at Shannon Brewing in Keller, Texas! There will be live music, food truck offering delightful dishes, and plenty of great raffle prizes! We'd love to see you there!